The foreclosure sale bid must be submitted to the public trustee no later than noon on the second business day before the date of sale. The bid must be signed by the attorney or signed and acknowledged by the holder. The Public Trustee is not responsible for the legitimacy or accuracy of the bid at a sale. Costs included in bid statements can include late payment charges, default interest, prepayment premiums, appraisal fees, engineering fees, inspection fees and costs and expenses relating to foreclosure. Costs can also include attorney fees. A deficiency bid occurs when the foreclosing party bids less than the amount of the debt. The difference between the debt and the bid is the deficiency. Failure to timely submit the bid will result in the public trustee continuing the sale from week to week. The holder’s bid will be made public upon receipt. The holder or holder’s attorney need not attend the sale. The written bid may be amended by the holder or the holder’s attorney no later than noon of the day before sale in writing or electronically, or orally at the time of sale. A person amending the bid at sale must be physically present at the sale and must note the modification on the itemized bid and re-execute the bid at that time. 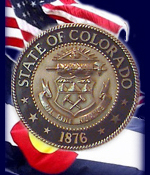 Every bid by any bidder other than the holder of the evidence of debt secured by the lien being foreclosed, and any bid by that holder in excess of the total due to the holder as shown by the holder’s written bid, require that the bid amount be received by Weld County Public Trustee no later than noon on the date of the sale. If the full payment of the bid amount from the highest bidder is not received, the next highest bidder who timely tenders the full amount of that bidder’s bid is deemed the successful bidder. Cash or certified funds must be tendered to the Public Trustee’s office no later than noon on the date of the sale. After the Public Trustee is assured that funds are collected, a Certificate of Purchase will be issued by the Public Trustee and recorded at the Clerk & Recorder’s office. The original recorded Certificate of Purchase will be retained in the Public Trustee’s office. There will be no duplicate Certificate of Purchase and the successful bidder will not receive the Certificate of Purchase from the Public Trustee. A copy of the recorded Certificate of Purchase can be purchased at the Clerk & Recorder’s office. After all redemption periods have expired, a Public Trustee’s Confirmation Deed will be issued upon request and receipt of funds. The Confirmation Deed Request form is available on this web site under the Forms link.